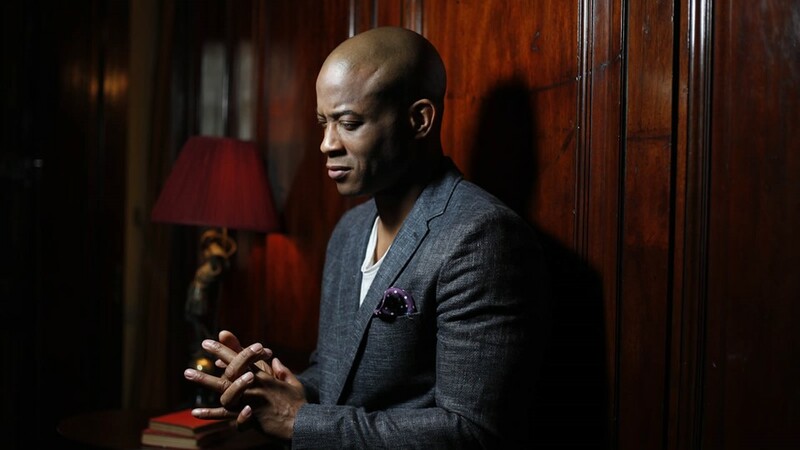 Championed by the likes of Elton John, Shaun Escoffery was hailed as one of Britain’s brightest talents when he arrived on the R&B scene in 2002. 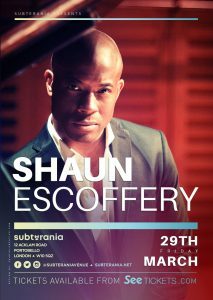 Born in East London, Escoffery grew up in a musical family with his singer mother and DJ father. In 2001, Oyster Music showed interest in his independent release “Space Rider” and promptly signed him, re-releasing the track a year later to widespread interest from the likes of influential DJs Trevor Nelson and the Dreem Team. Shaun recalls: “Trevor Nelson jumped on ‘Space Rider’, then when the album came out everyone gravitated to ‘Days Like This’. Elton John also championed the album – I was amazed to be watching a TV interview with Elton when he name-checked me as one of his favourite new artists. Both the initial singles made the UK charts, since 2014 Shaun has released two solo albums “In The Red Room”, & “Evergreen”. Eight of the singles from those albums were A listed by BBC Radio 2. During the promotional campaigns for those records he appeared on Jools Holland, Radio 1xtra live lounge and played the main stage at Radio 2’s event in Hyde Park. “Evergreen” won the Album of the year at the 2017 IARA awards. Shaun played a short UK tour in the autumn of 2016, selling out the prestigious Union Chapel in London. In late 2017 he signed to Decca Records and is currently working on his first release for the label.